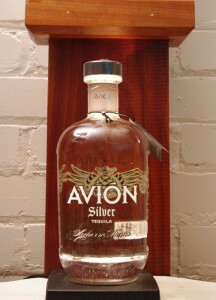 Notes: This is the youngest expression another slightly older expression the Avion Reposado and the Avion Anejo . This tequila is produced in the highlands (Los Altos) , at the highest altitudes that you can find agaves ( also where the most volcanic minerals can be found). This is the area where the most prized agaves grow and it certainly shows in this tequila. Distilled in Jalisco, the heart of tequila country this tequila differs in it’s production in a number of ways from a lot of other tequilas. First of course is the sourcing from the highlands, as I already stated, second is the use of hornitos (large traditional clay ovens) and the very slow roasting of the agaves (OK that may count as two), third the use of copper pot stills, (a vast majority of tequilas are distilled in stainless steel column steels), and their ultra slow filtration through charcoal. All in all a unique if not almost singular approach to making a tequila. 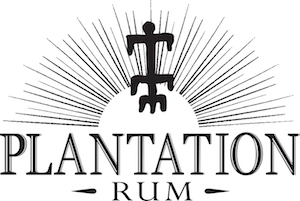 First Impression: Has a unmistakable aromatic hallmarks of a good tequila: sweet brine, savory with rosemary, citrusy with pineapple, meyer lemon, . In some ways it could almost be mistaken for a premium cachaca – lovely ethereal citrus and grassy cane like notes- not the bitter pungent waxy notes the cheaper tequilas can have. Taste: Slightly oily entry with a wonderful body. Savory, like a sweet olive brine and a lot of citrus, pineapplle and lemons. The carmelization of the slow roasted agave yields a wonderful bouquet and treats without the waxy fibrous bitter you get from rushing the process (in kilns that look like they should be drying lumber not producing tequila) that many of the large producers use. Finish is medium long, deadly smooth with slightly sweet then drying citrus and savory ending, making reach for just one more(honest ) taste. Drinks: Actually very nice on its own- sip it don’t shoot it. One of the few Silver Tequilas you can put in a snifter. Outstanding margaritas, be sure to use fresh juice and Grand Marnier – anything less would be an insult to the tequila and a waste. Other drinks we found you may want to go a bit lighter on sweet liqueurs or use drier alternative ingredients. Bottle: Unlike a lot of the competition, Avion does not use a bubbly recycled glass but a clear heavy decanter bottomed bottle that is a delight to hold and pour with. Vaguely square with rounded angles, it fits the hand wonderfully and the indented rectangular panels on the side make for easy gripping even if your hands are wet or unsteady. 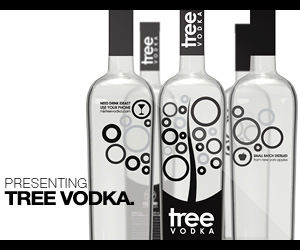 Attractive multicolored but tasteful graphics are silkscreened directly on the bottle. Dark gray neckwrap also denotes batch and bottle numbers along with distiller. Cork is a easy to grip wooden topped affair with a natural cork. Final Thoughts: Delicious, smooth, one of the most complex silver tequilas we have ever had. A touch sweeter (probably a result of the slow roasting) than most.